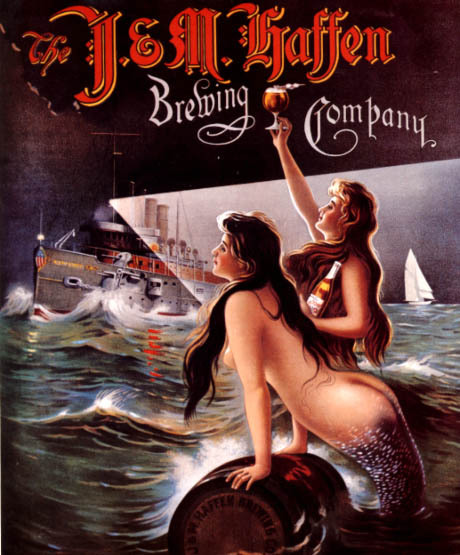 Tuesday’s ad is for an old Bronx brewery, the J&M Haffen Brewing Co. The brewery was only in existence from 1856 until 1917. As far as I can tell, this was used for a 1906 calendar for the brewery. Is it just me, or is one of the mermaids showing a bit more cheek than is usual?